Property Finder, a leading UAE-based real estate portal, said it has acquired Bahrain Property World, a pioneering property portal in the kingdom, in a major move aimed at expanding the group's footprint in the Middle East and North Africa (Mena) region. Property Finder, a leading real estate portal in the Middle East and North Africa (Mena) region, said it has acquired Bahrain Property World, a pioneering property portal in the kingdom. The group had been operating through Propertyfinder.bh in the Bahrain market for over five years, making its foray into the country in 2013. This acquisition comes a few months after Property Finder raised $120 million in funding from private equity firm General Atlantic in November last year. 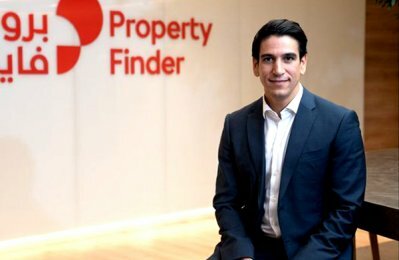 A UAE-born startup, Property Finder has branched out of the country’s shores and operates in a total of seven markets, including Qatar, Bahrain, Saudi Arabia, Lebanon, Egypt and Morocco, and has a significant 40% stake in Zingat, the second largest property portal in Turkey, which has over 6 million monthly visitors and more than 18,000 real estate agents. On the company's move, CEO and Founder Michael Lahyani said: "This is one of three high-powered strategic moves since closing our latest round of investment led by General Atlantic. The first being the increase in our share in Zingat, and our recent acquisition of UAE competitor; JRD Group." "We are very happy to further instill our confidence in the Bahrain region and continue to invest in a market in which we see a lot of potential and have been present since 2013," he stated. Lahyani said the acquisition would provide an opportunity to promote Bahrain property to Middle Eastern investors. "It is also a testament of the potential growth that we expect from the country, where we want to continue to bring the best real estate listings and data to Bahrain citizens and residents," he added. "Property professionals in Bahrain will have the opportunity to introduce their inventory in multiple markets where Property Finder Group has on-the-ground operations and a large audience of investors," he added. Bahrain Property World Founder Steven Filipowicz will continue to play a key role and be involved in the day-to-day operations of the combined entity. "This is an exciting new chapter for my family and I. As a company, we are happy to join the group and benefit from the vast experience, knowledge, extensive Mena network, advanced technology guidance and expertise that the Group of portals will provide to us," stated Filipowicz.